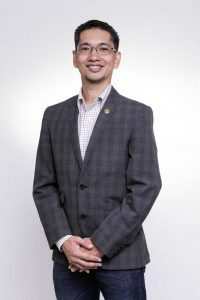 DLSU Chemical Engineering Full Professor and DLSU Laguna Campus Pioneer Research Faculty Dr. Michael Promentilla was recently named as one of the 2018 Outstanding ASEAN Science Diplomats. Organized by the Environmental and Climate Change Research Institute of De La Salle-Araneta University, the awarding ceremony was held during the 2nd ASEAN Science Diplomats Assembly at Ritz Hotel, Davao City last April 23-27. The summit gathered the scientists and engineers from the region. The participants were trained for scientific language communication in the context of climate change and energy for public and professional engagements.